Kim Yoo Jung and Kim So Hyun who were born in 1999 now turning 20 years old and they debuted in 2003 and in 2008. Kim Yoo Jung took a role in dramas such as ‘Dong Yi’, ‘The Moon that Embraces the Sun’ dan ‘Golden Rainbow’ meanwhile Kim So Hyun took a role in dramas such as ‘King of Baking, Kim Takgu’, ‘I can hear your voice’ and ‘Triangle’. As one of the child actor representatives in Korea, both of them showed an amazing acting performances since the beginning of their careers and has been the apple of people’s eyes. But apparently Kim Yoo Jung and Kim So Hyun have a very significant differences. Kim Yoo Jung recently graduated from Goyang High school of art on 8th February decided to focusing herself doing acting instead of getting into the college. Kim Yoo Jung made a statement in her fan cafee last November saying that she will not continue her study for the time being after a serious discussion with her parents because she wanted to be an actress with a lot of experiences. On the other side, Kim So hyun who’d graduate from Munjeong school immediately took the qualification exam for university and got accepted in Hanyang University department of Drama and Cinema. She’ll start her college life as a freshman in 2018. Despite her decision to continue her study, acting is her passion since she was a kid. Now she will face a challenge as an adult in 2018 and will work harder to show a different image of her in different movies. Kim So Hyun currently took a role in KBS ‘Radio Romance’ as Song Geu Rim, a radio script-writer that struggle to keep the radio on air. Meanwhile Kim Yoo Jung will play a role of a student with a lot of passion but a slob named Gil O Sol in JTBC’s new drama ‘Clean with passion for now’ that set to air after ‘Laughter in Waikiki’ on April. Now all the attention is all over the two of them this year. 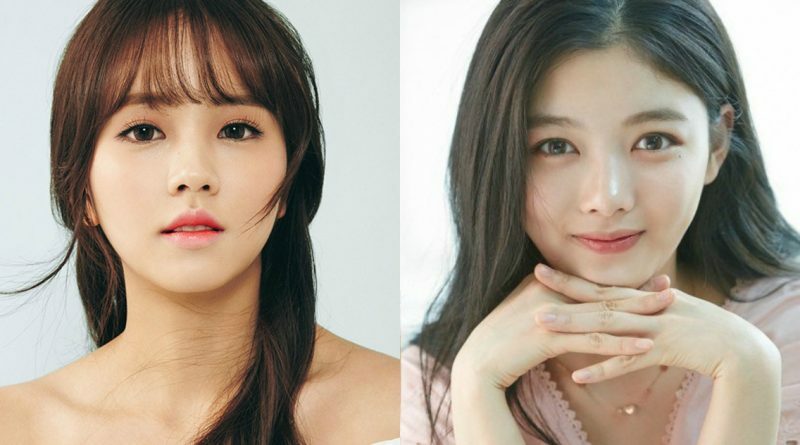 Kim Yoo Jung and Kim So Hyun both has grown up to be an adult and now will begin their journey in their adulthoods and exploring it in different ways.